My primary instructor Erik Pakieser from QSI Training recommends doing a “pre-flight” inspection of any firearm when you put your hands on it for the first time. For rifles, you start from the front of the weapon and work your way back. Front sight, flashlight, red dot, rear sight, etc. The night before our advanced rifle class last Saturday I did a pre-flight on my trusty old Mini Draco AK47 vSBR. The Primary Arms MD-06 red dot, after being on for over two and a half years, finally died. I replaced the battery immediately and we’re back in business. In other news, we’re down a handheld light since I haven’t replaced the keyring LED that died last month. I have two flashlights on my person plus my mobile phone, so replacing another pocket light isn’t a top financial priority. How did your lights and optics fare this month? Short Barrel Shepherd is a regular guy and works to make Web sites and mobile apps easier for people to use. He spends his free time attending fight-focused firearm, knife, and combatives training, motorcycling, writing, and playing games. His daily carry is a Glock 19 pistol and an AR15 .300 Blackout pistol in a backpack. 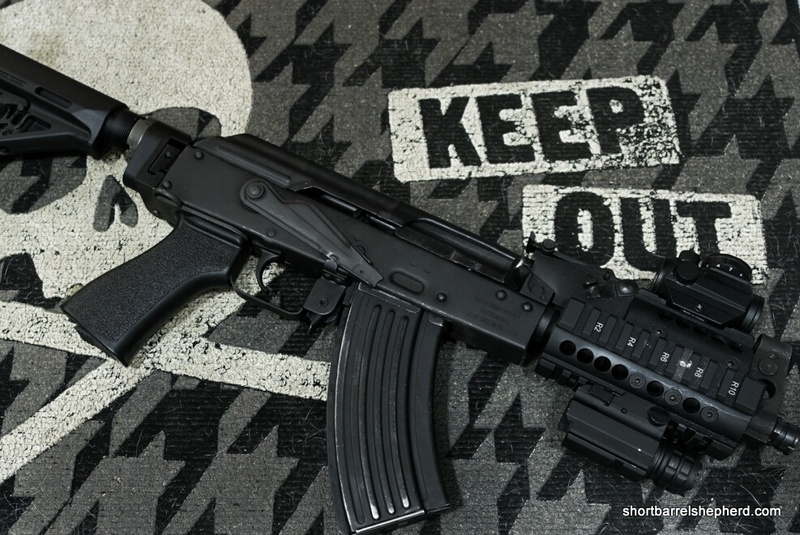 1 Comment on "Check Your Lights and Optics: August 2015 Edition"
I’m giving up on AK pistols, because they are just too dang heavy. Even a really sorry one has a pound on any of my AR pistols. VZ pistols are a great option for my future budget.